I've been using CEGUI on my project for over a year now. 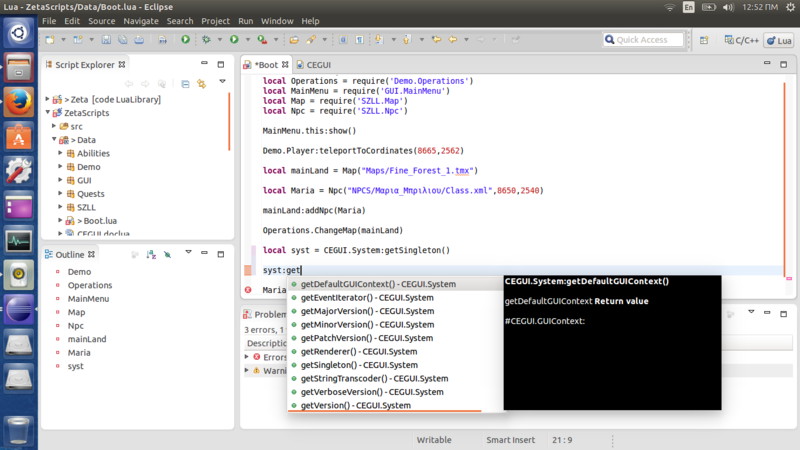 Due to my projec's nature, CEGUI is guided mostly though Lua scripts, meaning that the 95% of the calls to CEGUI system is from lua. This means the that there is no Interfacet to look up for available calls to CEGUI on lua rather than the Official documentation. For me, looking these files just to see the correct function name, is inefficient for me. So I created this file for the Eclipse Lua plugin (Koneki) that reads it and provides auto-code completion for CEGUI API in lua scripts, even if the API is nowwhere to be seen until it is loaded from the system at runtime. So I posted to share the file with other's that use Eclipse and Lua, since it will make their coding faster. Since it is in LuaDoc format, you can add the documentation of the api to show on auto-complete. Note: You need to have the 1.2 or above version of the Lua plugin. Great work. Could you make a pull request with the patch to tolua++? 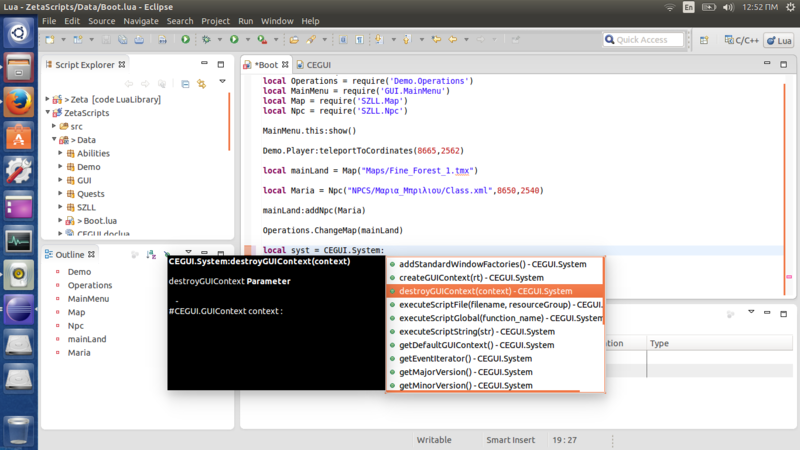 We would love to have this capability in CEGUI itself for everyone.